Detoxes are all the rage these days. Usually they involve some sort of extreme behavior — you have to limit your calories, or your carbohydrate intake, or your red meat intake… or you have to sweat out the toxins with intense exercise, or flush them out with diuretics and enemas, or burn them out with cayenne pepper and lemon juice. 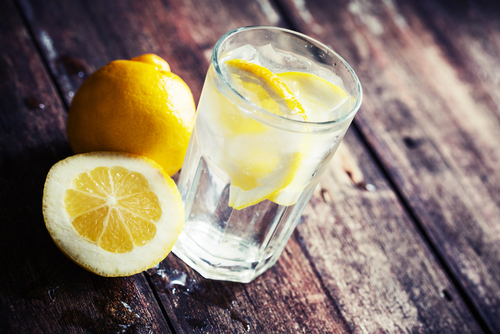 The thing about 99% of detoxes is that they plain old get detox wrong. In what way do any of the cleansing methods I mentioned above actually support a healthy body? 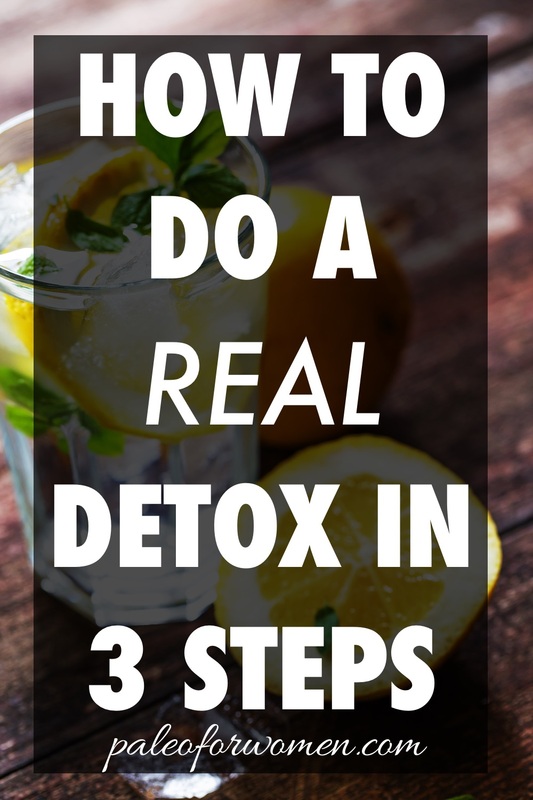 There is, however, a real detox method already up and running in your body. Your body is already doing a lot of hard work. So why play around with other stuff? The only smart way to detox and improve your health is to support the organs in your body that actually detox you on a regular basis. All the fuss about detox is, to be fair, for a pretty good reason, I think. The modern world is full of chemicals that the human body was never exposed to in it’s natural environment. The toxin load we all bear is greater than the body was built for. This doesn’t mean that your body can’t cope… but it does mean that it’s probably best to support it as best as possible. Detox clears heavy metals and other toxic substances (including natural byproducts of metabolism) out of your body. Toxins hang around in fat cells as “storage,” much of the time, but in the places they are stored this can be quite dangerous. They are quite easily be stored in the brain and in the body’s glands, for example. These are probably the last two places any of us want toxins to be hanging around. Here they can cause fatigue, dizziness, nausea, mood disorders, mental disorders, adrenal dysregulation, and many other problems. Supporting detox can help eliminate these problems. The body’s detox process also helps keep hormone levels in balance. If you properly support detox, you can help eliminate estrogen dominance, symptoms of PMS, mood swings, and symptoms of testosterone excess like facial hair and acne. You can also increase your libido and your fertility. Finally – it really is no lie. A healthy detox process is a huge help to healthy skin, mostly because it permits your body the antioxidants it needs to fight off inflammation and free oxygen radicals in all of your tissues, including your skin. Toxins like mercury are usually fat-soluble. This means that they bond to fat molecules and not to water (molecules will usually bond to one or the other). It should come as no surprise then that toxins are stored in fat cells. This also explains why people who undergo weight loss, who fast for extensive periods, or who exercise excessively sometimes experience symptoms of toxicity. The toxins are released into the bloodstream as the fat is burned off. With the help of enzymes in the P450 group, the body conducts a number of chemical reactions that convert a toxin like mercury into something a bit less toxic. However: this process produces free oxygen radicals, so anti-oxidants are absolutely crucial for supporting the body while it detoxes. If left unchecked, the free oxygen radicals can cause just as much damage as the toxins themselves. This “phase 1” is conducted by the body on a regular basis. It’s perfectly healthy for the liver to process a safe number of toxins on a daily basis. For example, “old” estrogen and testosterone are processed by the liver every day. Yet toxins become problematic for the body when this system is overwhelmbed. When overwhelmed, the system goes into over-drive but is still backlogged, leaving the body both flooded with toxins as well as free radicals. There are lots of things that can overload this system. They include alcohol, cigarettes, exhaust fumes, pesticides, barbituates, narcotics, dioxin, trans fats, and even caffeine in high doses. These substances are obviously best avoided as much as possible. In order to support your body throughout this phase, ample cruciferous vegetables (at least three servings a day), red meat for iron and B vitamins (especially riboflavin and niacin), and magnesium perhaps from a suplement like this one would all be an excellent help. Exercise helps keeps bloodflow strong and healthy, which speeds the processing of toxins in the liver and keeps everything moving efficiently. Be sure to walk places as often as possible and to practice some high intensity exercises and weight lifting at least a few times every week. Some substances actively inhibit the activity of cytochrome P450, most notably of which being grapefruit. Of course it’s fine to consume grapefruit. Of course. Yet if you have a weak liver or are trying to detox, you would probably do best to limit your consumption of it. The other way the liver detoxes the body is by adding a harmless molecule like an amino acid to a toxin, which renders it less harmful, and also water soluble, so it can be excreted. This is the detox aspect of the body that utilizes glutathione – one of the molecules most closely studied for it’s powerful anti-oxidant and healing effects in the body. It is quite literally the most powerful protective agent in the entire body. Unfortunately you cannot simply take a glutathione supplement and watch your worries melt away. Fortunately however you can support this pathway and all the molecules you need for healthy glutathione activity. One of the best things you can do for this part of the process is to focus on sulfur-containing foods, since sulfur-containing amino acids are crucial for this process. Leafy greens, garlic, onions, shallots, leaks, and also egg yolks are all extremely high in sulfur. Choline, found in egg yolks and beef liver, is also a huge help to this process. Ample animal protein – at least 100 grams or 16 oz a day – so you can obtain all the amino acids you need is also critical. N-acetyl cysteine is great for both aspects of detox and is an excellent supplement to consider taking for antioxidant and detox support (as well as clear skin!). Consider supplementing with curcumin, which has been shown to help support the liver and its detox capabilities. Fasting may deplete glutathione and other powerhouses (because they work on overtime), so I personally recommend steering away from extreme fasting. Intermittent fasts for many people work well (though not always for women, as I discuss here). Now… I’ve talked all about the liver and environmental, heavy-metal type detoxification here. This is real and important stuff, and supporting your body through it could be one of the most important things you do for your health. Yet of course this all occurs in context. In order to have a healthy functioning liver and detox system, it helps to have a healthy digestive system and a healthy immune system (and, to be fair, just about all of the systems). You can support your gut by eliminating gut irritating foods like grains and dairy from your diet, as well as by eating bacteria-rich probiotic foods like kimchi, sauerkraut, kefir, coconut yogurt, or kombucha on a daily basis (or supplementing with a probiotic. You can support your immune system in a number of ways. The most important might be to eliminate seed and vegetable oils from your diet, and to focus on eating fatty, wild-caught fish several times a week or taking an excellent cod liver oil supplement. You should also try to get at least 20 minutes of noontime sun every day for healthy vitamin D production, or you can take a supplement. Zinc is also an excellent way to support the immune system. All in all, the body is a complex system with many different ways to support healthy detox. The more you can nourish your body on a regular basis, the better. Detox isn’t about a five day cleanse…. it’s about a nourishing diet to last a life time. Focus on a diet rich in produce and whole, grass-fed animal products, and you’ll do far more for your body than if you sucked on a lemon with some cayenne pepper every day for the rest of your life. Also – don’t forget! The HOLY CRAP I CAN’T BELIEVE THIS IS FREE Primal 90 Sessions on how to optimize ALL of your health… with tons of practical tools like Body Stress Evaluation Kits is going on RIGHT NOW. My own talk airs on FRIDAY. And it’s free and holy crap and why not?! Ends next week! I have done a couple but not the ones promoted by celebs. I did a parasite cleanse which helped me tremendously and I did a liver cleanse to get rid of gall stones. I had fibro, which I believe is simply a state of toxicity overload. I cleaned up my diet drastically and paid a whole lot more attention to the chemicals that I was putting in. I eat organic and grass fed and I am mostly paleo (80/20 plan). I have overcome my fibro with this approach and I couldn’t be happier. I am a work in progress though as I still have excess facial hair and very thin hair on my head. Thanks for fleshing this out. The one part I gasped at a little was the 16oz of animal protein recommended per day. Really?! Do eggs count? I feel like I eat way more animal protein than many people I know – probably 8oz for dinner and then a bit more between breakfast and lunch if we aren’t counting eggs – and I would love to know if my perspective is skewed on what a healthy amount to eat is. I am satiated and happy, but it would be interesting to hear your thoughts on how more animal protein could be beneficial. I’ve been working with a natural health practitioner for about 9 months doing work on my gut and immune system, but mostly liver detox using Standard Process and Medi-Herb supplements, including their 21 Day Purification cleanse as a means to improve my hormonal balance (sky high testosterone) and treat PCOS (resulting in stubborn decades long amenorrhea). I initially wanted her to give me supplemental bio-hormones, but she went on and on about how the liver helps with hormone regulation and clearing…yada-yada. I decided to trust her. Lo and behold, I ovulated and got a period – my first natural one since 2007 (and only 3-4 natural periods in the 10 years before that!). My next one came 3 months later. Then another one in 2 months. Now I am only about 2 weeks beyond a normal cycle, no longer have acne and my fat distribution has become more “female” in type. I am a total and complete believer in the power of detoxification to help even the most pesky endocrine imbalance. Thanks so much for this article Stefani, it’s very timely. I’m investigating detox options for firefighters and am having a hard time finding references on detoxification. Is there anyway you could throw me a few links from the research you did for this piece? Thank you for your time and dedication, as a holistic nutritionist and health coach, I’m referring people to your site all the time! Great work. This is a fantastic blog post Stefani. I’ve been thinking about doing a detox for a little while now. These tips will definitely get me on my way. Thx! I found my cycle came back and hormones regulated much better once I started focusing on liver detoxification. While cleansing all the time is not the best, when done correctly and safely, it can really be beneficial. It gets such a bad rap but most people don’t do it correctly or are not prepared and supported. I’ve done 10 master cleanses now and about 6 liver flushes and it has helped tremendously. Focusing on colon cleansing before liver cleansing is also important. I found that eating a healthy paleo type diet and supplements were helpful, and definitely necessary, but it did not get me as far as cleansing did. Great info!